Twist and Shout, at 2508 E. Colfax Avenue in Denver, is delighted to announce an in-store performance with Danielle Ate The Sandwich. 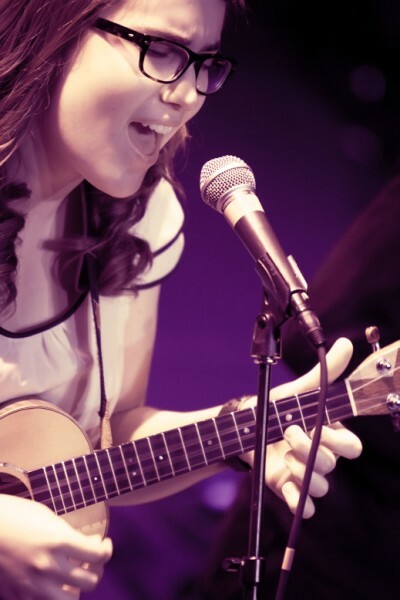 Danielle "Ate the Sandwich" Anderson is a solid young songwriter who tours nationally, has licensed songs to various films and TV shows and understands and uses new media successfully. Westword described a recent performance as, "cripplingly enchanting with lyrics telling the story of a generation coming of age in an age of uncertainty." And as the postings of over 35,000 loyal subscribers to Danielle's Youtube channel attest, she has rapidly developed an active fanbase who feel she has something to say about what it means to be young in 2012. Danielle will release her fourth album, Like A King on June 5th. Check out her youtube page that has over 5 million views HERE - pretty impressive!! !